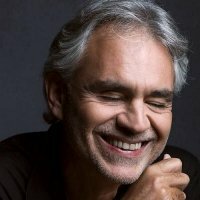 Italian Opera superstar Andrea Bocelli has just announced details of a two-part UK arena tour for September and December. The multi award-winning, multi platinum-selling tenor will play September dates at the O2 (24th) and the NIA (27th), returning in November for dates in Liverpool's Echo Arena on 6th and the SECC in Glasgow on 8th. The night will feature music from his latest (20th!) album 'Incanto', released in November 2008. Incanto was recorded in Naples, and features a collection of traditional Neapolitan love songs. The album is also available as a special edition CD/ DVD set, with the DVD featuring: 'Incanto The Documentary'. The album has already gone platinum, and Andrea received a "four times Diamond" disc at a recent appearance on an Italian talk show, for selling in excess of 1.5 million. Tickets for all but the NIA date, costing £45 - £90 + booking, will be available here at 9AM, the NIA date goes on sale on Friday 20th March at 9AM.